On 21 February 2016 Heerema Marine Contractors’ Deepwater Construction Vessel (DCV) Aegir laid down the last 18” production flowline on the seafloor. This important milestone marks the successful completion of the infield flowlines scope for the INPEX Ichthys LNG Project. 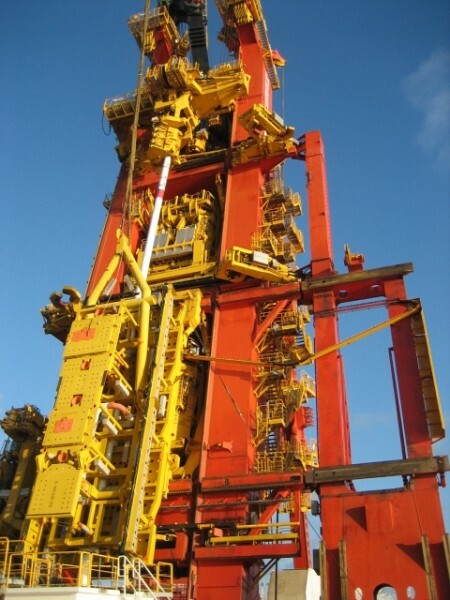 All told, 11,000 onshore and offshore highest specification welds were executed and/or supervised by HMC's specialist welding technology subsidiary Pipeline Technique Ltd (PTL). HMC's Chief Executive Officer Jan Pieter Klaver states: "The complete Ichthys project is of an unprecedented scale in HMC’s subsea track record. It involves marshalling, transporting and lowering almost 120,000 tonnes of project materials to the seabed in water depths up to 275 meters in a remote area of the Indian Ocean unprotected against swells and cyclonic summer conditions. Most importantly we have spent almost 5 million project man hours to perform the work without any Lost Time Injury or harm to the environment. 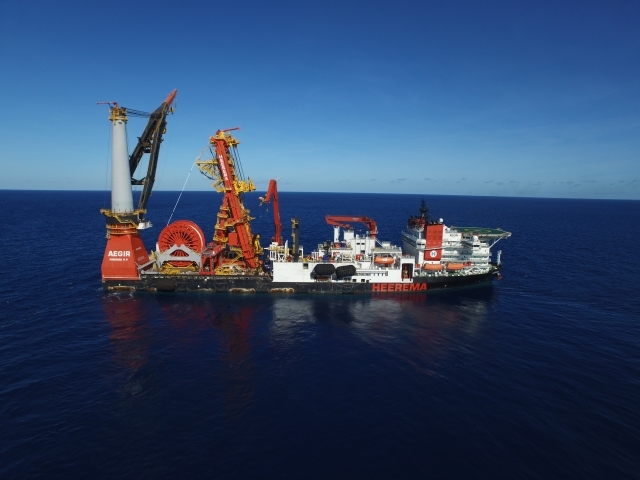 HMC now looks forward to seeing Aegir completing the remaining heavy lift and mooring chain installation work on Ichthys in a similar safe and successful manner". The lchthys LNG Project is a joint venture between Operator INPEX (62.25%, major partner Total (30%), CPC Corporation Taiwan and the Australian subsidiaries of Tokyo Gas, Osaka Gas, Kansai Electric Power, Chubu Electric Power and Toho Gas. Gas from the Ichthys Field, in the Browse Basin approximately 200 kilometres offshore Western Australia, will undergo preliminary processing offshore to remove water and extract condensate. The gas will then be exported to onshore processing facilities in Darwin via an 889-kilometer subsea pipeline. When operational, the Ichthys LNG Project is expected to produce 8.9 million tons of LNG and 1.6 million tons of LPG per annum, along with approximately 100,000 barrels of condensate per day at peak. Heerema Marine Contractors (HMC) is a world leading marine contractor in the international offshore oil and gas industry. HMC transports, installs, and removes all types of offshore facilities. These include fixed and floating structures, subsea pipelines and infrastructures in shallow waters, deep and ultra-deep waters. HMC operates semi-submersible crane vessels and deep water construction vessels. The company is a fully-owned subsidiary of the Heerema Group. McDermott was awarded the contract as main contractor for the umbilical, riser, flowline (URF) project by INPEX and awarded Heerema Marine Contractors Australia Pty Ltd (HMC) the contract for the transportation and installation of infield flowlines, subsea structures and moorings for the INPEX Ichthys LNG Project.